Item # 311743 Stash Points: 7,495 (?) This is the number of points you get in The Zumiez Stash for purchasing this item. Stash points are redeemable for exclusive rewards only available to Zumiez Stash members. To redeem your points check out the rewards catalog on thestash.zumiez.com. 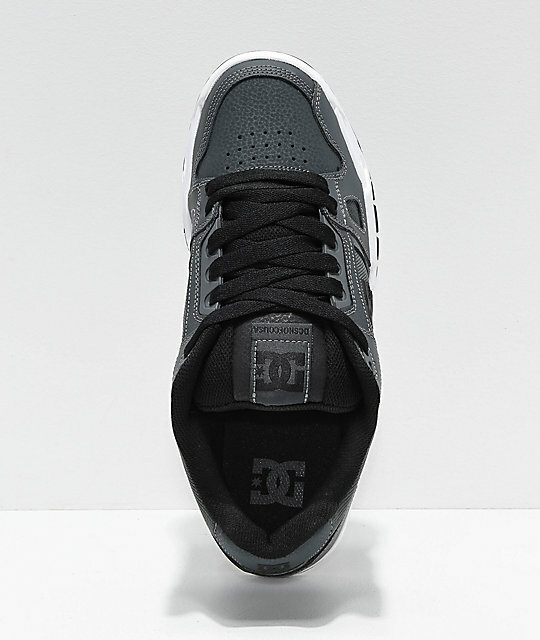 Get one of the most durable and classic skate shoes on the market today with a pair of DC Stag Dark Grey Skate Shoes. 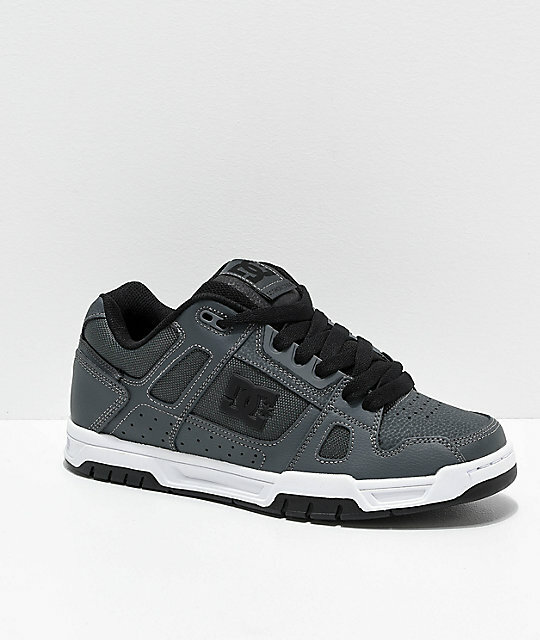 All-grey throughout, these shoes feature DC logo detailing at both sides and the top of the tongue for iconic branding and style. 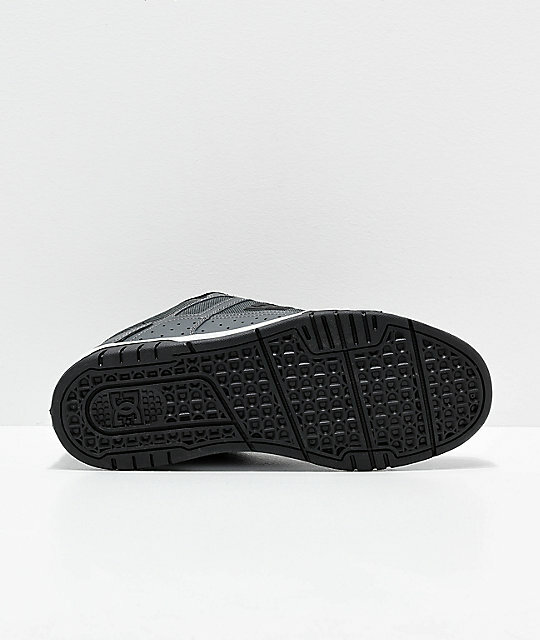 Double stitching adds tons of durability, while a cupsole construction and heavily padded insole ensure maximum comfort and impact support all day long. 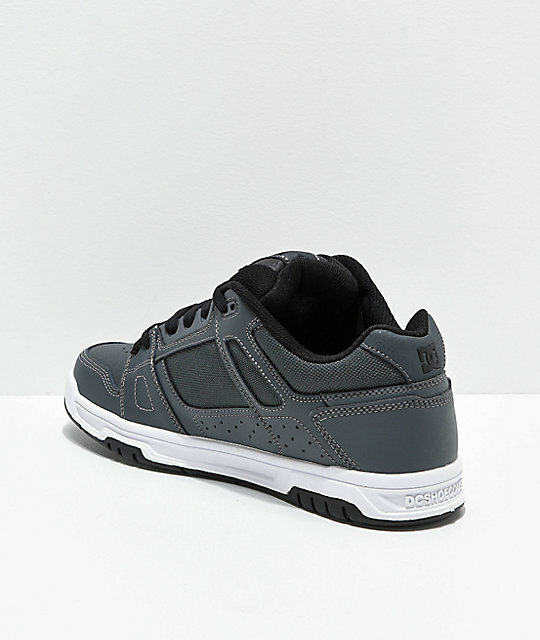 Stag Dark Grey Skate Shoes from DC. Mesh woven side panels for breathability.